As the temperatures outside continue to decline here at The Healthy Moms Magazine we found the hottest winter fashion trends for kids that will save you money. To save you time we have done the homework for you to make your winter clothes shopping easier this year. Fur is popular once again this year. For a budget friendly idea look for faux fur. It is a lot less expensive than real fur, environmentally friendly because it is made from synthetic fibers, is warm and is fashionable for winter 2013. Faux fur is found lined on nearly everything from boots, to hats, to scarves and coats. Below is our top pick in fur. Your little girl will be toasty warm and look stylish this winter with this chic find from Burlington Coat Factory. The outer puffer shell is detailed with quilted stitching, princess seams, and gold-tone metallic hardware for just the right amount of bling. The removable hood is lined with soft faux fur to help shield out the wind. Knit is always in style and you can find it anywhere. Henleys for Boys and Knit Tees for girls are comfortable, warm and compliment denim, black or khaki pants. Both of these shirts come in a variety of colors and patterns so your child can wear a different shirt every day of the week. Denim is warm, comfortable and goes with anything. Our favorite denim jeans are Levi’s. Levi’s jeans come in a wide variety of styles, and built to last. 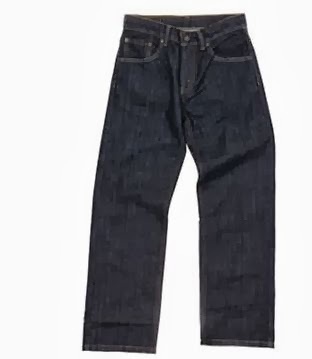 We found the best deal on Levi’s Jeans for girls and boys at Kohl’s. Whether the temperatures where you live dip down below zero or maybe are a few degrees warmer, your children will stay comfortable and toasty with our three fashion picks for winter 2013.